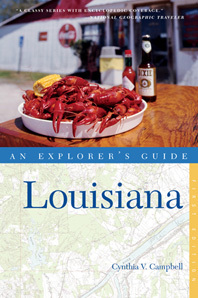 Explorer's Guide Louisiana - Description | W. W. Norton & Company Ltd.
A vital state of beautiful shores, natural bayous, vibrant history, unpretentious people, and amazing food and music culture, Louisiana’s attractions are limitless. You can trust the author—a Baton Rouge travel writer—to guide you to the nicest lodgings and the best restaurants, opening up the secrets of her home state to travelers. Rest assured that a great travel experience awaits you.